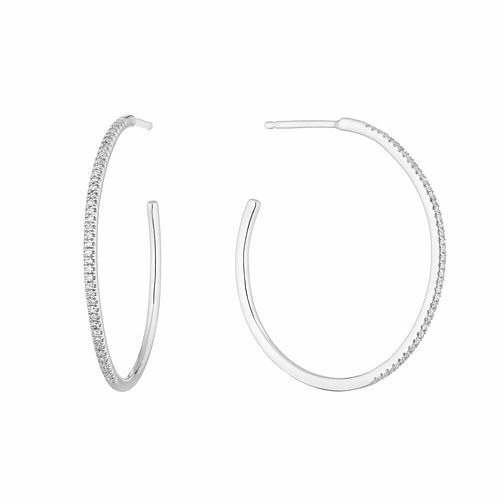 Diamonds are a girl's best friend, and no fashionable lady is complete without a pair of hoop earrings! Ticking all the boxes, this stunning pair of skinny silver hoop earrings are embellished with set sparkling diamonds, totalling 0.15ct. This shimmering set makes for the perfect accessory pairing to spice up a casual look, or an understated glamorous touch to complete occasional wear.